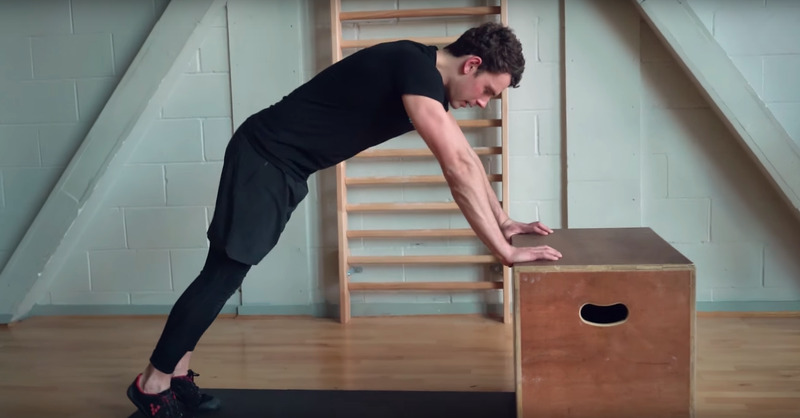 Tom JoyStep 3 of personal trainer Max Lowery’s ‘press-up’ progression list. Personal trainer Max Lowery says push-ups should be the foundation of any bodyweight training programme. He says the secret to a proper press-up is practicing ‘negatives,’ eccentric contractions that build muscle faster. He shared his three-step plan to the perfect press-up with Business Insider. I’ve been going to a bodyweight strength training class every (OK, most) weeks for several months now, yet I still can’t do a single decent press-up. Despite ramping up my exercise from nothing to at least frequent HIIT (high-intensity interval training) sessions, I don’t appear to be improving my technique – at all. So I enlisted the help of 28-year-old Max Lowery, a personal trainer who believes a press-up should be the foundation of any bodyweight strength programme. 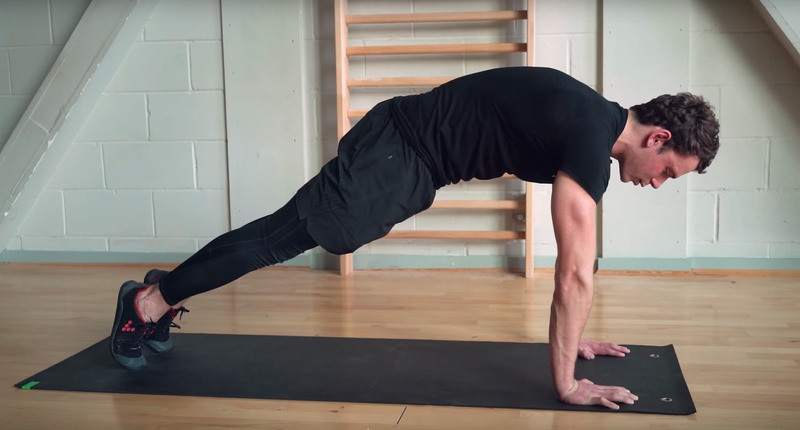 He shared his three-step plan – and a new video tutorial – on nailing the perfect press-up with Business Insider, and if you’re anything like me, you’ve been doing it all wrong. Bur first, why are press-ups so challenging? “People find push-ups difficult because they use many different muscle groups and involve moving your bodyweight in a controlled way,” Lowery said. Contrary to what many newbie gym-goers, and in particular women, have been told, Lowery advises that you avoid practicing a press-up on your knees at all costs. This, he says, will never translate into doing a full press-up. He said the secret to being able to perform a proper press-up is focusing on “negatives,” where you practice a downwards-only motion, often as slowly as possible. “Negatives use eccentric contractions, which build muscle faster than their concentric, or positive, counterparts,” he said. This, he said, decreases the range of motion, which makes it easier and means there’s no core strengthening benefits of the movement. 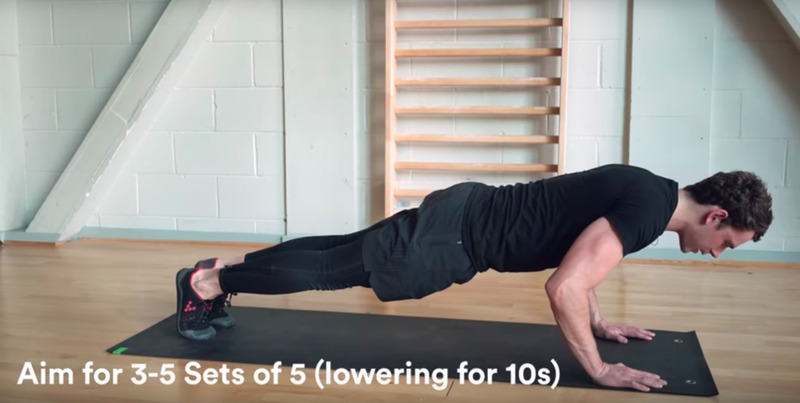 Lowery has devised a three-step plan to the perfect push-up, which he called his “progression list,” and naturally, it includes some negatives. He says with practice, it will get you performing push-ups to be proud of. You’ll need something raised for this, like a box, to rest your hands on. 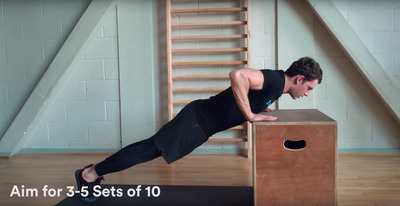 With your core engaged, you want to move your chest onto the box, he explained. “Having the raised surface makes it easier, so it’s therefore really important to get that full range of motion,” he said. Next up, it was practicing some “negatives” (or eccentrics), which he deems the secret to a true press-up. It basically involves lowering yourself as slowly as possible, and then getting back up any way you can. When you get to the floor, drop your knees, lift yourself up, and repeat. Lowery recommends aiming to do this five times for between three to five sets. “Above all make sure your chest is going down first,” he added – in other words, don’t lead with your pelvis. The final step is to practice your hollow plank – which he likes to do in a very particular way – that activates your muscle set better. 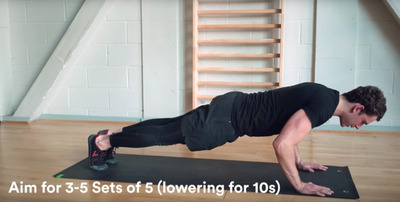 He advises people wanting to perfect their press-up to incorporate these three exercise movements into your strength training programme, one during each of your three weekly workouts. But he added that performing them here and there in the odd HIIT class isn’t going to cut it. You need to be practicing them two to three times per week, gradually increasing intensity – reps, sets, time etc. I’d better get back to class.